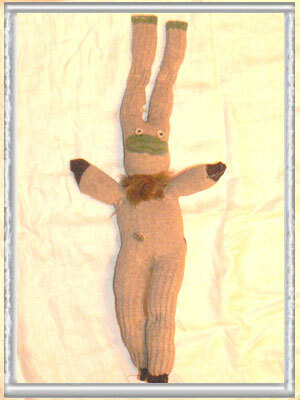 It all started after Christmas, a simple book called " Stupid Sock creatures" started me creating wild and wonderful creatures. 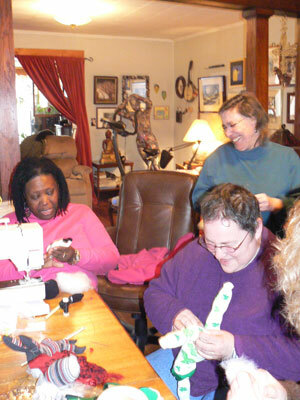 Then Gina came to visit and started making Memorial Sock Monkeys for her dad. Finally it was brunch, a new sewing machine, and general monkey love at Gina's house. 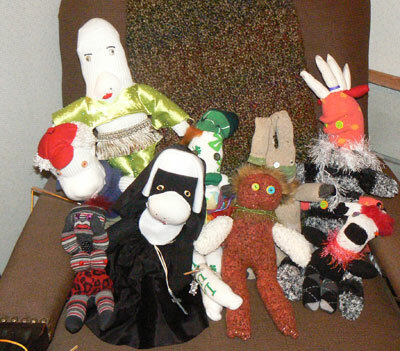 Here are the girls own versions, along with my now 11 monkeys.